Established in 1996, Eaton Insurance Agency continues to provide its clients quality service for their insurance needs. Whether a simple homeowner policy to a complex business operation the Eaton Insurance Agency can work with you and the many insurance companies they partner with to provide you the with a policy that meets your needs and budget. 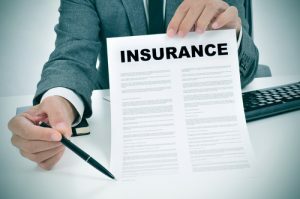 The Eaton Insurance Agency is a member of the Independent Insurance Agents and Brokers of New York and as an independent broker we place our clients and prospective clients first and seek to match the client’s needs with the insurance company that can best fit those needs. Over the years the Eaton Insurance Agency has developed a niche market for commercial photographer’s’ photo production companies, photo talent rep agencies, as well as advertising agencies, event planners, photo equipment rental houses, prop and fashion stylists, hair and makeup artists, and post photo production digital companies. In addition we are very active in the contractor market from small artisan contractors to larger contractor’s and general contractor’s, both suburban and those who work in the five boroughs of New York City. We look forward to the opportunity to assist you with any of your insurance needs.